Hi. Over at My Creative Space again this week with lots of lovely crafty people. I've actually been doing a bit of sewing this week, attempting to make Tessuti's Valerie top, which looks pretty straightforward except that I have used this beautiful satin fabric (kind of Japanese looking) which is slipping around like a fish all over the place and is so far a dismal failure. I have pulled a thread right across the front of it, so badly that I think I'm going to have to get more fabric and cut another front. So I'm a bit bummed about that, and too chicken to post any photos just yet! 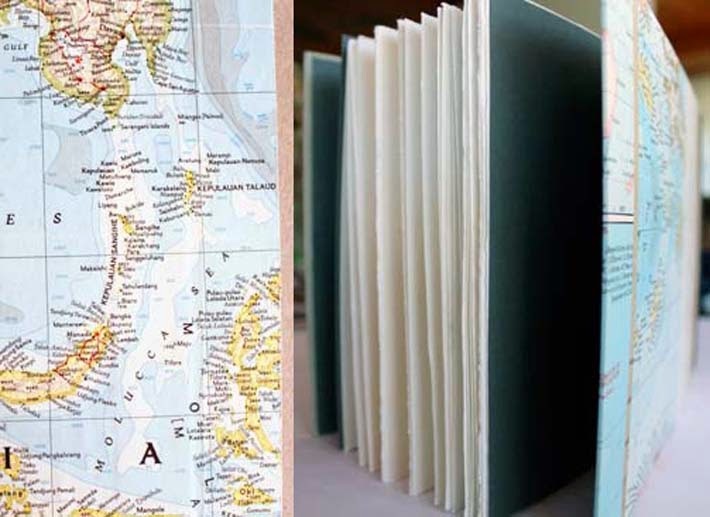 But I've also been doing a bit of bookbinding, making some more blank books / sketchbooks out of some lovely thick blank paper, covered with old maps and pieces of paper I have collected over the years. Sometimes they are just slivers of paper bags from my favorite bookshops, so small you would hardly notice, but it is enough to make me daydream for a while when I look at them. The one I used this time was from Berkelouw Books in Eumundi. Sigh.... if only I had a magic wand. Anyway, not quite sure what I'm going to do with all of these blank books. I guess one can never have too many sketchbooks, right? Love your book! 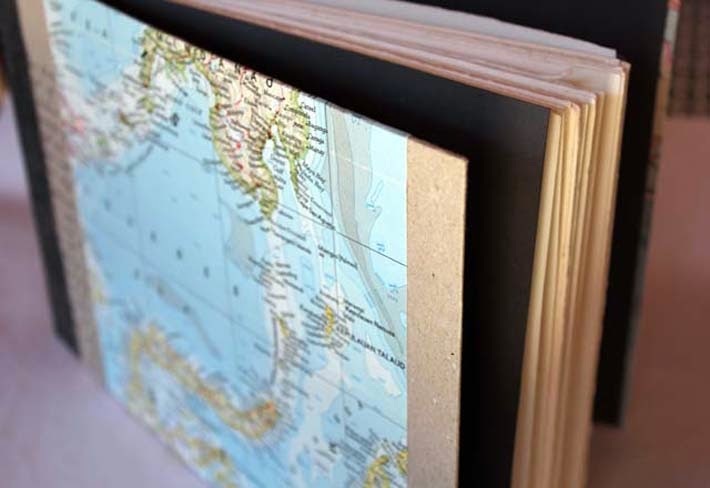 It would be a great vacation or trip journal!